SWEDEN. 2013. 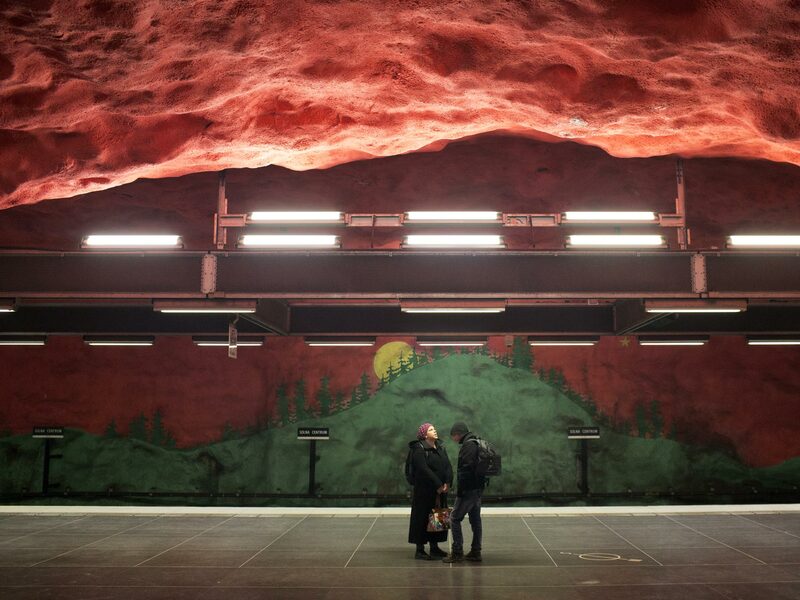 Stockholm Solna station on the blue metro line, with the background painted as a mural of rural landscapes.